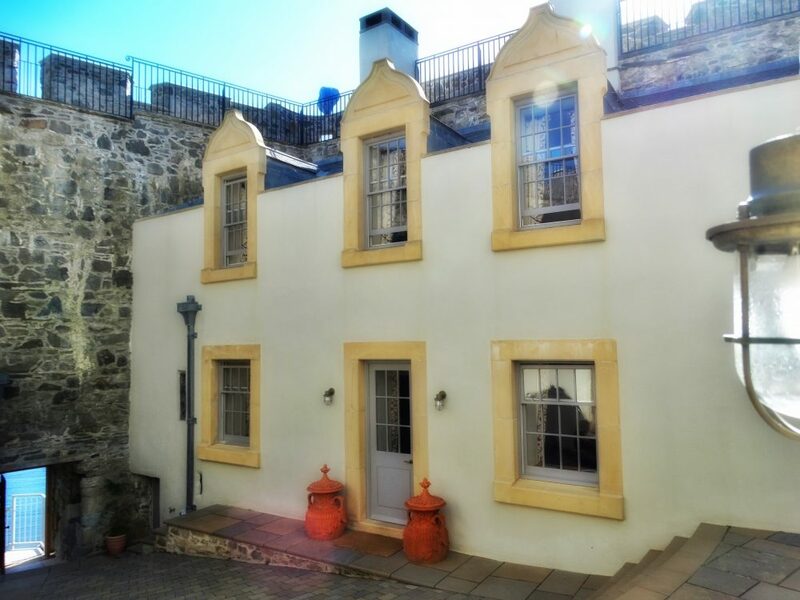 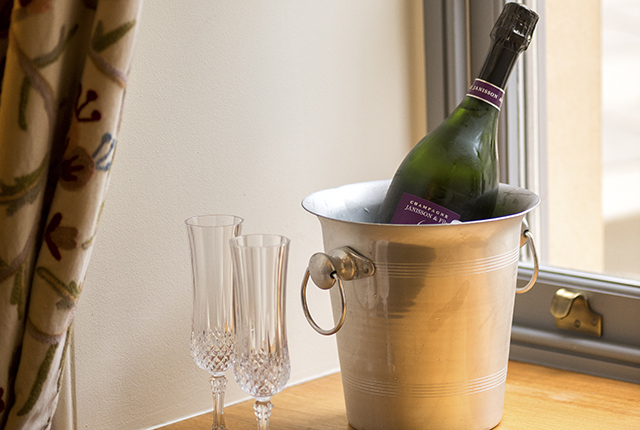 Wander through the towering walls of the main courtyard to the front door of the MacDonald Suite, a self-contained apartment in the West Range of the Castle. 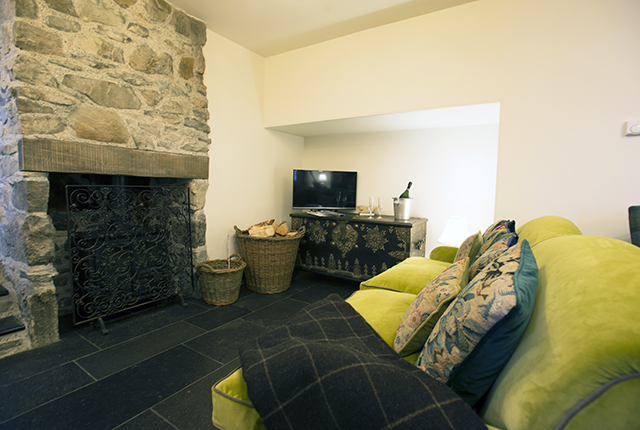 Step inside and you’ll find a cozy, beautifully furnished setting complete with an exposed stone fireplace and wood burning stove that few can resist curling up in front of. 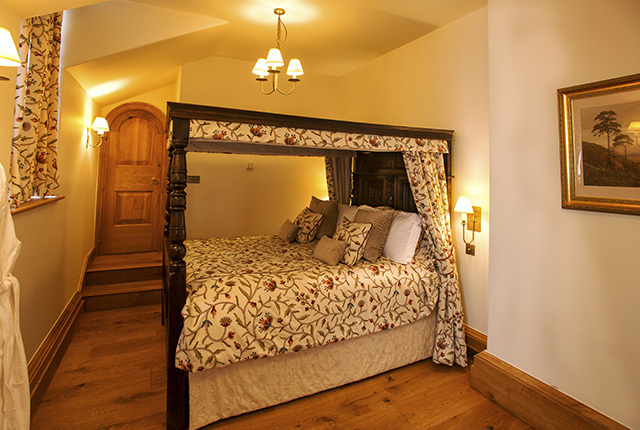 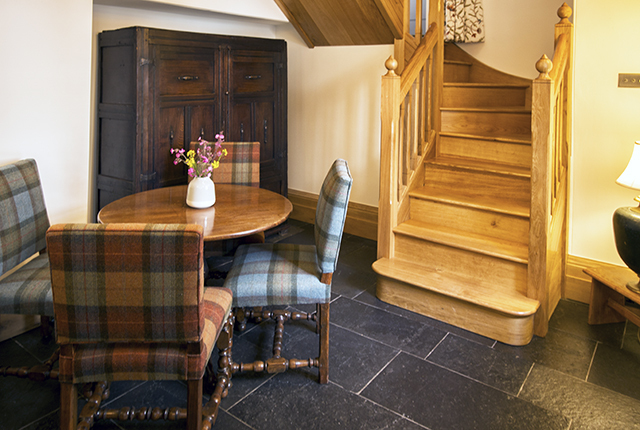 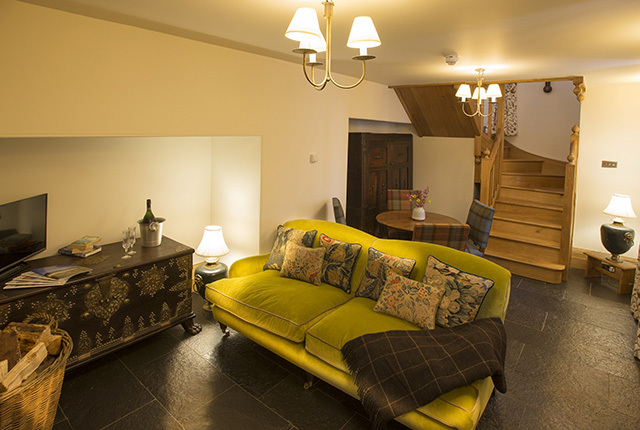 The hand carved oak staircase leads up to a first floor bedroom with a king sized antique four poster bed and its own en-suite with a shower over the bath. 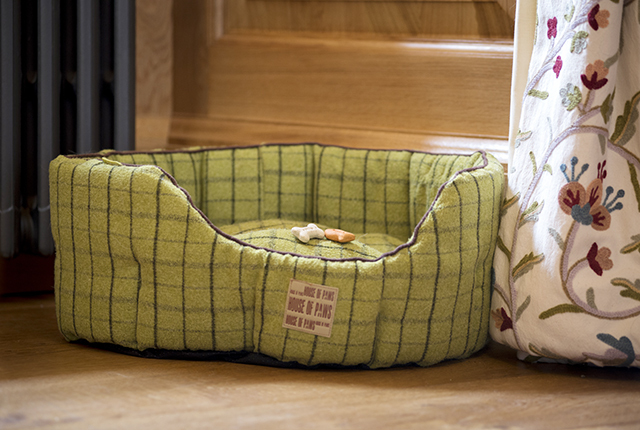 A favourite with two and four-legged guests alike.